The city that never sleeps. The city of gold. The city of dreams. You can define Mumbai in a myriad of ways. But the fast pace, the never die attitude, the hypnotic pull of Mumbai can’t be defied. 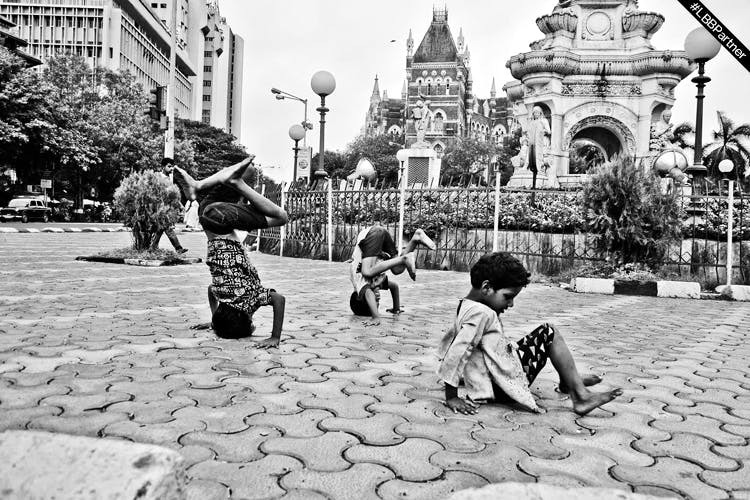 And capturing a city as vast and distinctive as Mumbai is equally difficult, but we found five pictures by Nikon that captured the essence and emotion of the city. Sometimes friendship occurs in the most unique places, between the unlikeliest people, that are separated by culture, language and ethnicity. The streets of Mumbai have their own character and life, helping people find their way to each other and engaging them to learn, get inspired and absorb good vibes from one another. Amidst all the colour and chaos, this picture is an ode to the city that makes everyone feel at home and makes sure you have a friend whenever you need one. Young or old, college sweethearts or retired couples, love is a source of contentment, comfort and happiness through your life. Whether you’re watching the sunset at Marine Drive or walking around in The Five Gardens, you’ll see the city air has a vibe of its own. From romance to budding love, and from friendship to companionship, capture the emotions that Mumbai brings alive in its people. A powerful picture that captures the economic divide, the hunger of children who roam on the streets of Mumbai and the people we see on a day-to-day basis, but choose to walk away from. Sometimes, money can buy more than happiness, it can aid survival of those unseen and ignored. Whether you’re in Mumbai to fulfill a dream or be inspired by others, watching these birds take flight everyday is an inspiring ode to freedom and to soaring sky high. A welcome change to the hustle-bustle of the city, remind yourself to spread your wings and fly towards your goals without any inhibitions. Stunning, spectacular and absolutely impressive, Mumbai is more than a city. It’s an emotion, a feeling of deep contentment, of pure joy and more than that, it’s home. All the lights, the bustling streets, the sound of the sea and the inherent kickass spirit makes it a treasure one can’t resist. Inspired? Go out to snap raw, unfiltered emotion and capture pictures that speak a thousand words. With Nikon’s amazing features, high image quality and easy portability, you already have a companion for your photo journey! Follow Nikon India on Facebook, Twitter and Instagram. This article is in partnership with Nikon.